I can tell you about a million things I’m thankful for in the US. And that was before I moved to Uganda. Now that list has grown by leaps and bounds. You think you have a lot to be thankful for in America, but you truly have no idea until you’ve lived without it. Today is Thanksgiving. While families across the US, including mine, get together for turkey, football and fellowship, I am heading to school. It will be just another day here in Uganda, a place the pilgrims apparently didn’t stop at on their journey to America. Forget turkey and stuffing. Every Thursday the most delicious and delectable treat to ever enter the world is served at the school snack bar, “The Watering Hole.” Thursday is samosa day, I always eat two and skip lunch with hopes that I can get another one after school. 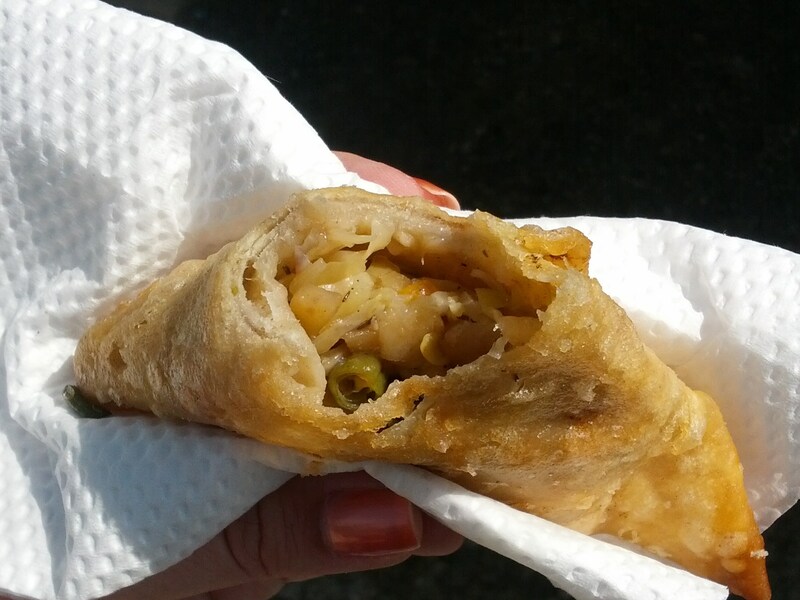 Samosas are kind of like egg rolls in triangle form. And they are a party in my mouth. It gets dark here at around 6 o’clock. There isn’t much to do after dark, considering it isn’t always safe. So what is there to do once papers have been graded and lessons planned? We don’t have a television, but we do have laptops. And thanks to the many, many vendors who sell bootleg DVDs in Kampala, we have access to every movie and television series ever made for approximately $1 each. While I loved my students in America, they were a major stressor in my life more often than not. Here, my students brighten my day. They are the reason I look forward to Monday mornings. They make me want to be a better teacher and a better person. They inspire me like no students ever have. I’ve always been obsessed with palm trees. Even though for the past five or so years I’ve spent Christmas in Florida, you would think I was seeing palm trees for the first time. I take pictures of nearly ever palm tree I see in Florida. 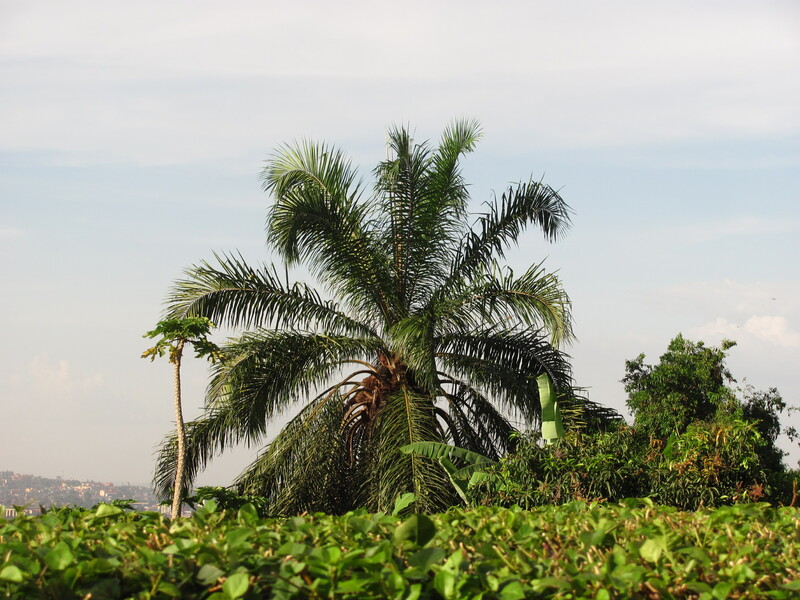 In Uganda, they are everywhere, and the fact that I wake up to a view of palm trees each morning is simply a gift from God. 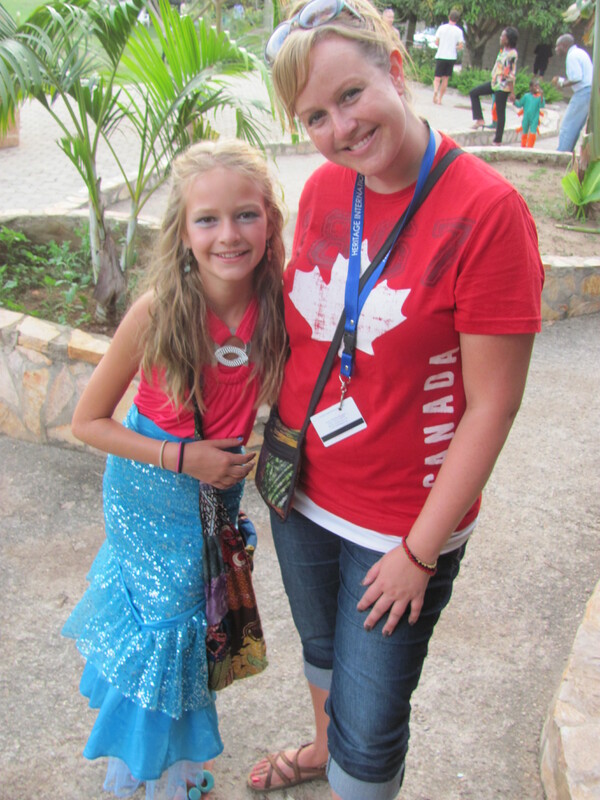 I may not have my biological family here, but this Thanksgiving I’m thankful for my World Gospel Mission family. We are getting together tonight for Thanksgiving dinner, having a turkey and everything! So thankful for their Christian wisdom, guidance, and friendship. Nope, they don’t know all about my family. They don’t know the heartaches of my past. They don’t even know my favorite foods or movies or where I like to shop. They haven’t been around for any longer than four months, but I am so incredibly grateful for my new friends. Be it from Uganda, America, Canada, or anywhere else in the world, I thank God on a daily basis for the people He has put in my life as I continue this journey in Africa. I hate not being Aunt Natalie, but Uganda has provided me with so many opportunities to love on little people, whether they are Ugandan or American. From Florence and Gideon (our day guard’s children) to my friend’s children, I have plenty of little people who bring joy to my life each and every day. A year ago I didn’t even know what Stoney was, and now I can’t imagine life without it. 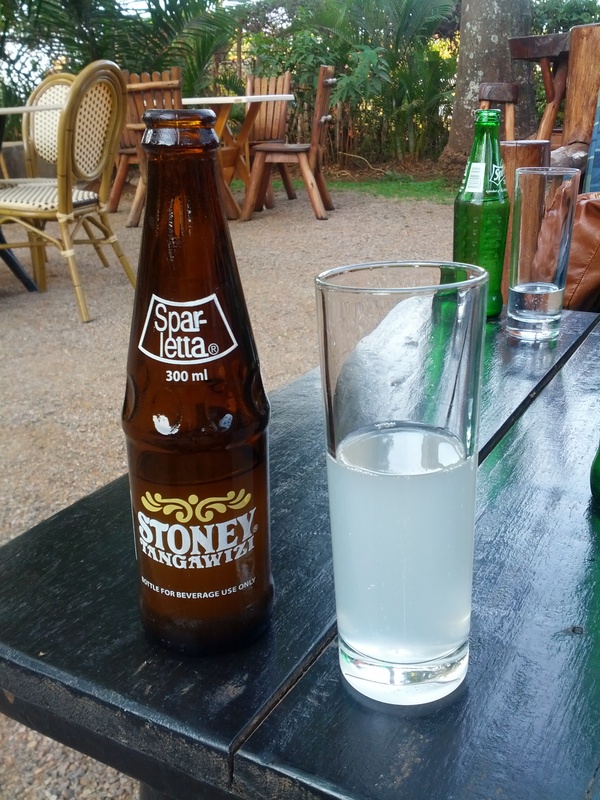 There’s nothing better than an ice cold Stoney on a hot day. The delicious ginger-flavored drink is now one of my favorites. I don’t know where I’ll be a year from now. Perhaps I’ll be having another Thanksgiving-less November in Uganda, or maybe I’ll be back in the US celebrating with my family. Only God knows, but either way, there will always be plenty to be thankful for. God has shown me that year after year, no matter where I am. Miss you but oh so proud! !